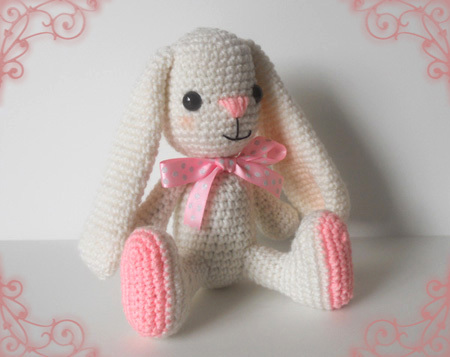 Last week I worked on a bunny, a cute white wabbit with pink feet and pink cheeks, and pink ribbon. 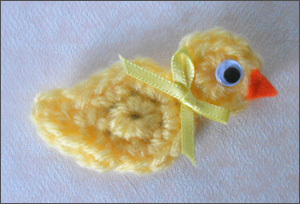 I wanted to send something to my nephew, and since Easter is right around the corner I thought this would be a nice gift for the occasion as well. 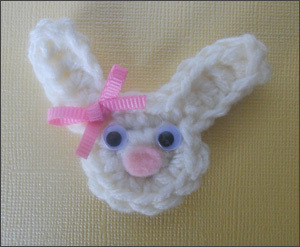 The bunny was made with Red Heart Super Saver yarn in off white, and pink. 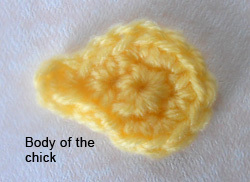 I put some blush on the cheeks, and inside the ears. 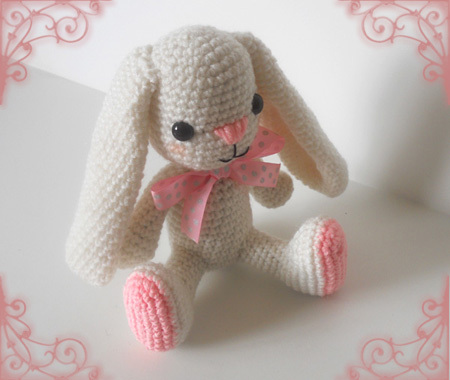 I cannot wait to send this bunny to my nephew, in the meantime, happy crocheting!